Enter code DISCOUNT on the payment page or go instore to receive discount. I always thought Argos were cheap back in the day. But compare their prices these days and they are ridiculously high for many items. 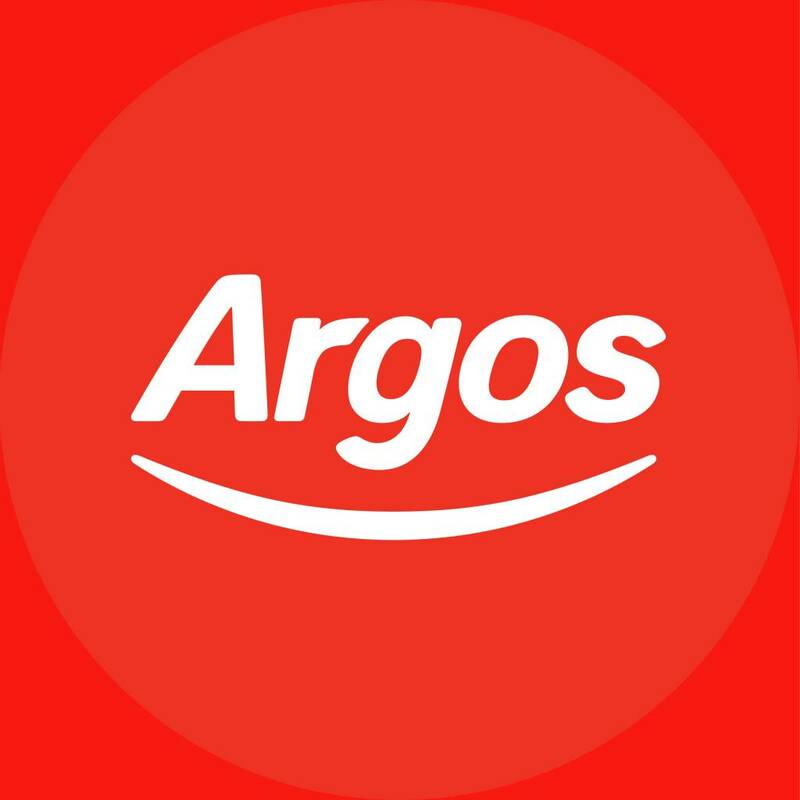 Many items posted here are often 2-3 times more at Argos. They do have good sales though. I always thought Argos were cheap back in the day. But compare their … I always thought Argos were cheap back in the day. But compare their prices these days and they are ridiculously high for many items. Many items posted here are often 2-3 times more at Argos.They do have good sales though. Depends what you're looking at really. They're not that bad, but we all know here that shopping online is the easiest (though not quickest) and cheapest way to shop. This has always been around. And does no one use the voucher part of the site anymore? I fail to see a deal. Depends what you're looking at really. They're not that bad, but we all … Depends what you're looking at really. They're not that bad, but we all know here that shopping online is the easiest (though not quickest) and cheapest way to shop. Nor is it the most convienant when it comes to returns. Argos has its place but it is certainly becoming less and less relevant. Lets face it on most items they are expensive, they were cheap in the eighties when the high street was the only option. Customer service is very good though but they need to be more competitive with pricing. I very rarely buy from the store now unless it is a sale item that is hugely reduced. I would like to see argos survive for many years to come but I feel they need to be better at pricing, they can do it I am sure with their buying power. Buy £100 of vouchers for £90, its the old trick. If you plan on spending £90 on Argos products! Do they let you do this, as most places wont let you buy vouchers/app cards/ittunes etc? Argos has got tight with their vouchers ever since they starting placing expiry days on them. Which are usual only valid for 30 days of buying them or only valid during a certain month. Shame you can't get onto the site to actually buy anything today !! does that mean £65 of a £659 iPad? I mean if you buy vouchers at £100 for £90 and so on? I work for Argos. If you buy something for £100, it'll show up in your basket/on the till as £90. Originally £50? It'll cost you £45. Buy something for £150, it'll still just take £10 off and bring it to £140. Thats the way it works. how about 6 seperate voucher purchase transactions of £100 = £90and one £50 = £45, would that work? then buy item in full with vouchers? I work for Argos. If you buy something for £100, it'll show up in your … I work for Argos. If you buy something for £100, it'll show up in your basket/on the till as £90. Originally £50? It'll cost you £45.Buy something for £150, it'll still just take £10. Thats the way it works. Doesn't apply to gift vouchers according to my local store. This has always been around. And does no one use the voucher part of the … This has always been around. And does no one use the voucher part of the site anymore? I fail to see a deal. this hasn't always been around. they only do it every few months! Every few months.... So it's always around every few months....? Is there an upfront charge? I don't think you understand, that's not shown on the homepage. only other pages on the website. I don't think you understand, that's not shown on the homepage. only … I don't think you understand, that's not shown on the homepage. only other pages on the website.